Payment plans to suit you & your project! Established in 1970, EYG is one of the UK’s leading home improvement and double-glazing specialists - and when you’re about to make a sizeable investment, we understand the need to budget. Thanks to our flexible payment plans, you can now improve your home immediately - without worrying how to pay for it! Buy now, pay nothing until 2020: If you prefer to keep your hard-earned cash in the bank (why wouldn’t you? 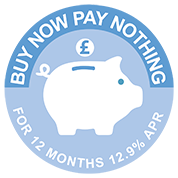 ), you can take advantage of our buy now, pay nothing for 12 months option. If you repay the loan amount in full within the 12 months deferral period then no interest will be payable, but an exit fee will apply. If you choose not to repay the loan amount within the 12 months deferral period then interest will have accrued since the start of the agreement and will be added to your loan as per the terms of your loan agreement. Flexi loan account: Finalise your design plans today and spread the cost with monthly payments. With this option you can make additional repayments on top of your monthly direct debit payment, which could reduce the term of the loan and the total interest payable. This gives you more control of the time that it takes to pay for the project. Self-fund your project: If you’d rather fund the improvements yourself, that’s fine. Simply settle the balance upon completion. As you'd expect, all credit is subject to application and status. Now that you know how our payment plans work, all you have to do is get in touch and turn your dreams into a reality! Rate of interest: 9.5% p.a. Authorised and regulated by the Financial Conduct Authority. EYG Domestic Limited, Dairycoates Industrial Estate, Wiltshire Road, Hull, HU4 6QQ (FRN No. 720510) act as a credit broker and not the lender, and offers credit products from a range of financial providers with whom we have a commercial relationship. We may receive a commission from our lenders. Read our Finance Statutory And Disclosure Statements here.